The journey of adoption and foster care is hard, presenting a host of challenges. These challenges can leave you feeling frustrated, overwhelmed, terrified, exhausted, and isolated. In addition, non-adopting/fostering friends or family often do not understand these challenges and have a hard time relating to those who are in the trenches of adoption or foster care. At Southeast, we recognize these unique challenges and want to help. 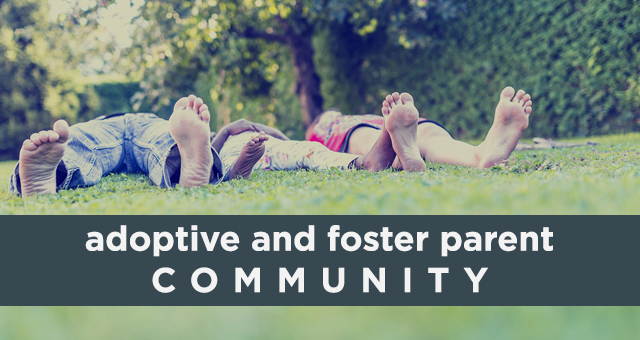 Our Adoption & Foster Parent Community exists to provide connection with other parents that “get” what you are living. Here, you’ll find love, encouragement, and support that will help sustain you through the hard times of adoption & fostering. This group of adoptive & fostering parents meets once a month from 6:00-8:00 pm at Southeast Christian Church. We meet to connect with others who are on the same journey, to share our struggles and triumphs, hopes and fears, challenges and answers—or to just be a safe place for those moments when there are no answers. For our typical meetings we'll have a potluck meal. Please bring a dish to share. If you're an adoptive or foster parent, we'd be honored to have you join us! Please RSVP using the form below to help us prepare for the evening! WE PROVIDE PAID CHILD CARE! We provide paid child care through the Adoptive & Foster Parent Community. Paid child care meets in conjunction with the monthly Friday night meetings from 6:00-8:00 pm. This paid child care, at the rate of $5 per child per night, is a fantastic way to empower the whole family for recovery. Please pre-register here or at the Coffee Shop during business hours or on the weekends.